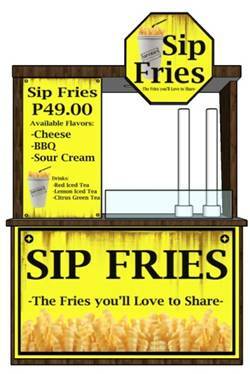 Sip Fries concept was an idea came from Filipinos addicted to french fries. 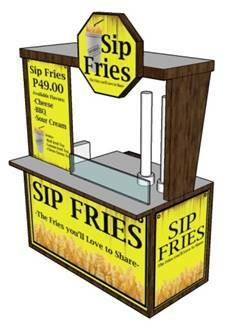 we all know that Potato corner is the king of french fries food cart here in the Philippines. 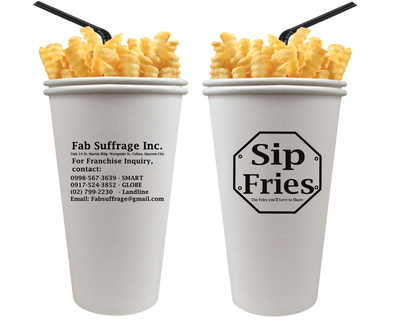 So we find a unique way to serve fries that customers will be curious, sipping Ice tea while eating French fries at the same time in one hand. 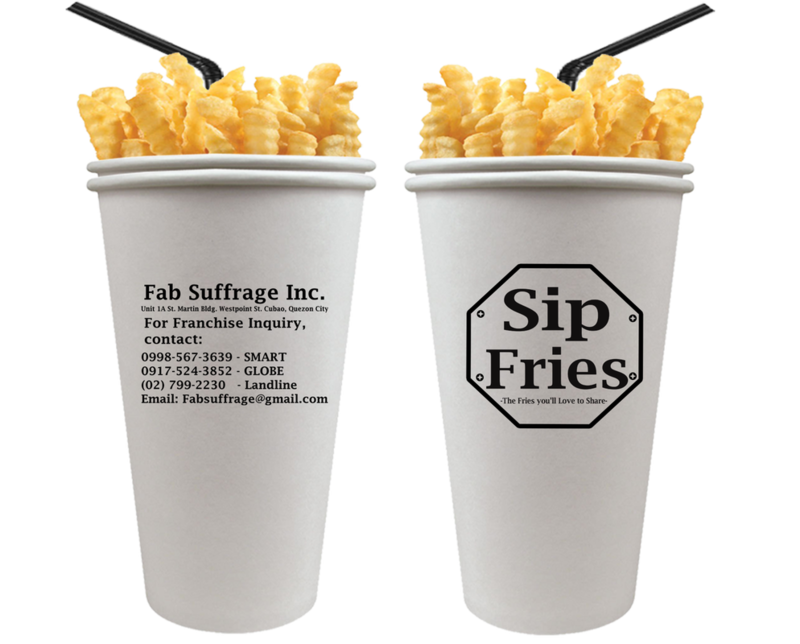 That's right, We came up with a cup that can serve both fries and drinks without mixing them. 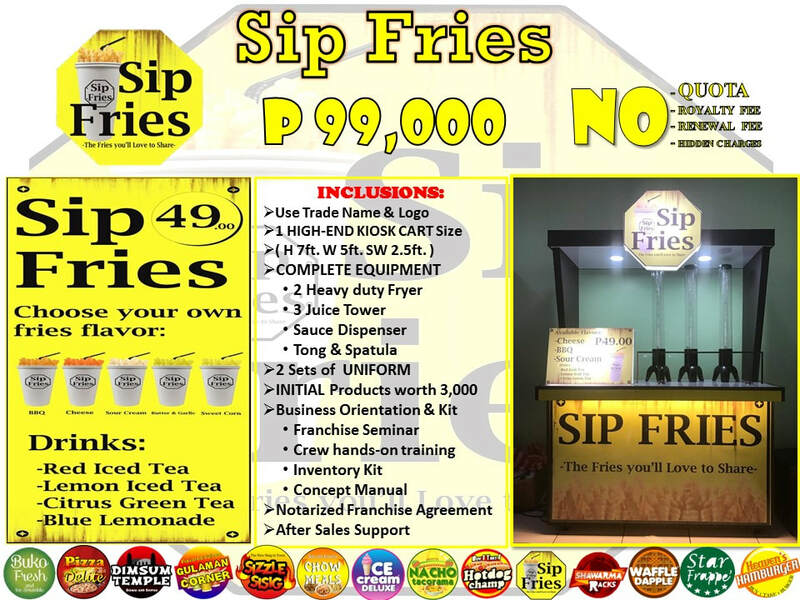 NO QUOTA RETURN OF INVESTMENT 3-4 MONTHS!